Helen Sherman-Wade has over 30 years of experience working with children and adults exhibiting speech, language, stuttering and learning problems, as well as with early infant and family intervention. She established her private practice in 1983 and Speech Associates has grown to employ over 180 therapists who are bringing the highest level of care to the diverse communities of Los Angeles. Olga Reyes has been Program Manager for Speech, Language and Educational Associates since 2004. She is responsible for overseeing all programs including Speech, Intensive Instruction, Child Development, Occupational Therapy and Behavior Intervention. 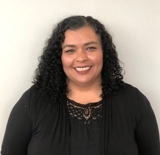 In addition, she manages the billing, scheduling and oversees the program's needs which includes the management of special education services for school districts, charter schools, Head Start, private and regional center contracts. Olga has earned a BA from Cal State Northridge and a Masters in Business Administration. Denise Ruiz has worked in Human Resource field for the last 12 years, ranging from small mom & pops companies to large institutions. Denise is responsible for overseeing employee relations which include but not limited to, staffing needs, onboarding, monitoring reviews/compensations, disciplinary actions, safety and benefits, guidance to management, updating employee records, and labor law compliance. Denise stays on top of the ever-changing laws in California by being a member of Professionals in Human Resources Association (PIHRA) and attending various seminars throughout the year. Denise finds working for companies that service the community rewarding and thus has enjoyed her first tenure year with SLEA. Anthony Jenkins is the Clinical Director of Behavior Services. He has studied the theoretical principles of Applied Behavior Analysis for more than 12 years. 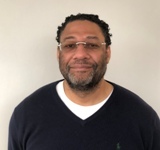 He has worked as a teacher in special education settings, served as a director for a Non-Public Agency, and worked as a Supervisor of Autism services in school settings. As a result, he has developed a unique perspective on the delivery of interventions to individuals with developmental disabilities. Anthony has a Masters in Applied Behavior Analysis and Special Education from California State University, Los Angeles. He has also completed a post graduate certificate in Autism. He has completed his doctoral coursework in ABA and is in the process of completing his dissertation. He is a Board Certified Behavior Analyst and has received specialized training in ABA based methodologies including Discrete Trial Training (DTT), Picture Exchange Communication System (PECS), Pivotal Response Training (PRT), functional communication training (FCT), conducting functional behavioral assessments (FBA) and self-management strategies. He has worked with persons with a wide range of developmental disabilities. He is an adjunct staff member at The Chicago School of Professional Psychology and National University. He enjoys teaching ABA courses and training Behavior Analyst of the future. In his free time, he enjoys reading and watching movies. He also enjoys travelling and spending time with his family and friends. Dr. Mary David is the Director of Behavior Operations. Dr. Mary earned her doctorate in Clinical Psychology in 2010 and has been a member of the SLEA behavioral team since 2008. During this time, she completed doctoral internships at AIDS Project Los Angeles, Lynwood Women’s Correctional Facility and Occidental College. Additionally, she completed her post-doc internship with Our Kids Developmental Services where she completed 1 on 1 sessions, social skills groups and assessments with children with Autism, Developmental Disabilities, Adjustment Disorders, Bipolar Disorders and Attention Deficit Disorders. Rina Barak proudly practices as a speech-language pathologist for Speech Language and Educational Associates. After working in primarily school settings and on multi-disciplinary teams throughout her career, she is excited to begin her new role as Clinical Lead of all of our school therapists. Rina received her Masters of Arts in Communication Disorders from Montclair State University in Montclair, New Jersey. She chose the field of Speech Language Pathology knowing that her passion for working with children of all ages and love for teaching would be a perfect fit with the profession. Since the start of her career with SLEA, Rina has worked in a wide variety of school settings, ranging from severe physical and cognitive impairments, to working with preschoolers placed in a special day class, to school-age children placed in the general education setting with articulation difficulties, Autism, Apraxia, stuttering, expressive and receptive language difficulties, and other health impairments. In every school, Rina has creatively found ways to get around the typical “pull-out” method of therapy. She believes strongly that children can only truly reach their full potential when parents, teachers, and the entire education team is working together to figure out what that child needs to reach academic success. Rina has participated in parent trainings, trainings for teachers on how to incorporate speech and language in the classroom, and has worked together with resource specialist teachers to figure out what learning style works best for a student. Rina has participated in “co-teaching”, “consultation models,” and “push-in” to the classroom models of therapy for preschool, elementary, and middle school students. She has implemented speech improvement classes to help students with mild articulation impairments consisting of one or two sound errors, who do not qualify for speech therapy in the school setting. Her “do whatever it takes” method of therapy has allowed her students to not just meet the goals of therapy, but to generalize the skills they have learned across all settings. Rina has two kids of her own, Abby (age 3) and Isaiah (age 1), who have helped her realize the importance of knowing what is typical, before you can help a child with special needs. Rina has supervised speech-language pathology students, SLPAs, SLPA interns, and clinical fellows. She truly believes that supervision provides an opportunity for mutual clinical growth. She treasures her role at SLEA as she has been provided with the opportunity to work in a variety of school settings and can provide therapy in a way that best meets the needs of each child. Lauren Henderson has been working for SLEA as a Speech-Language Pathologist since January 2012. She graduated from Villanova University in Pennsylvania with a Bachelor’s degree in Human Services and dual minors in Psychology and Sociology, providing her with a solid base for working with children and families. Lauren completed her Master’s degree in Communicative Disorders at West Chester University in Pennsylvania. Following the completion of her graduate program at West Chester University, she returned to California to pursue her career and passion as a Speech-Language Pathologist. She holds a certification inAssistive Technology Applications through CSUN, and has attended multiple other professional development courses and conferences. SLEA has given Lauren the opportunity to work in a variety of settings, including schools, clinics, clients’ homes, and Head Start sites as well as with many different populations and disorders. She has supervised student interns, SLPAs, and Clinical Fellows. 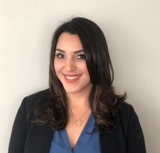 Lauren is excited to begin her new role as Clinical Lead of the Encino Office where she can lend her support and knowledge to, as well as work hand-in- hand with, new and current therapists.